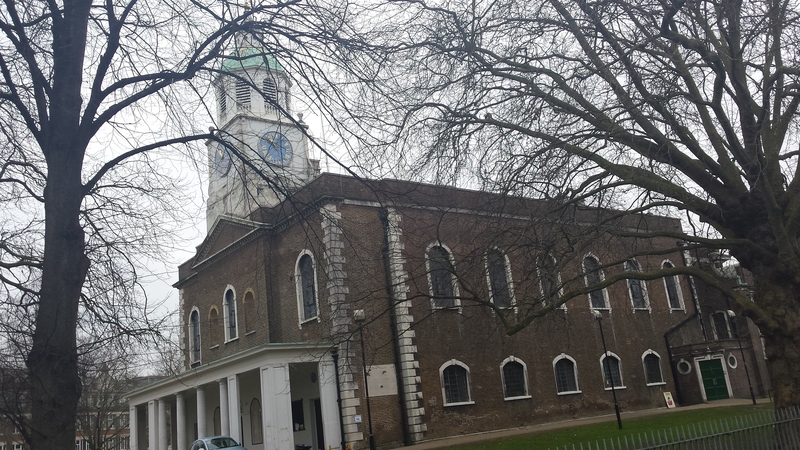 This week I’ve been out and about in Clapham, tracking down the remarkable 18th century reformist group known as The Clapham Sect. 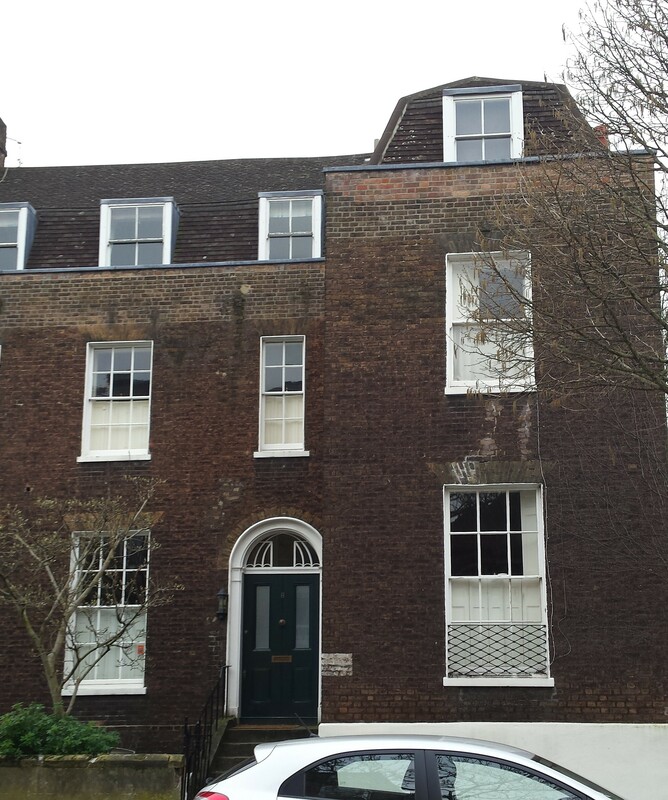 Its most famous member, William Wilberforce, resided at Broomfield, a house which stood where Broomwood Road is now, on the south west side of Clapham Common, then part of the estate of his cousin, Henry Thornton of Battersea Rise House. The Thornton family were merchants and bankers who hailed, originally, from Kingston-Upon-Hull, as did Wilberforce, who was Hull’s MP. The family settled around the Common in what were grand country houses, some parts of which still exist. The most unusual may be the façade of ‘The Orangery’, newly restored amidst the towers of the Notre Dame Estate, the municipal housing blocks which replaced the convent of the same name. 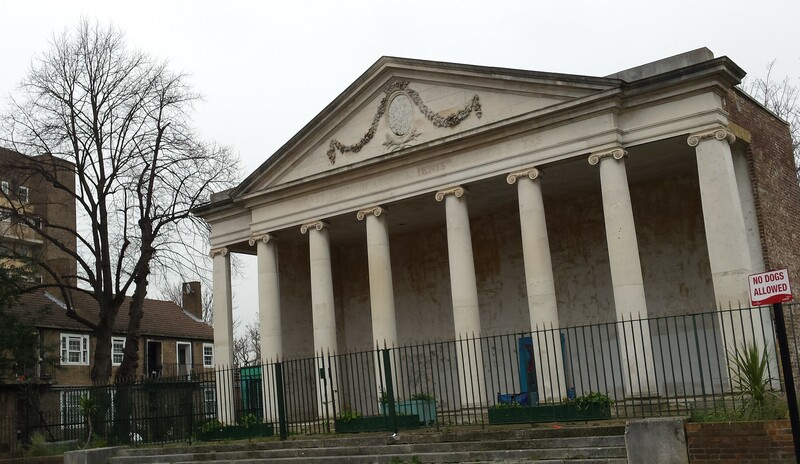 Its classical façade, complete with pilasters and Ionic capitals, still stands, somewhat incongruously, next to Notre Dame School in Worsopp Drive, a reminder of the Thornton estate and gardens which once graced the South Side of the Common. Thomas Babington Macaulay the eminent historian (The History of England and Lays of Ancient Rome) lived at No. 5, The Pavement, now Waitrose, by Clapham Common Tube station. It was his father, Zachary, who, after some time spent in Jamaica on a sugar plantation, became a supporter of the Abolition of Slavery and, in 1794 was appointed Governor of the newly-founded settlement for freed slaves in Sierra Leone, where he and fellow reformers, including Granville Sharp, founded Freetown. 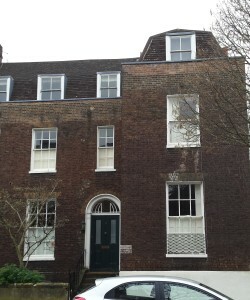 The Macauleys returned to England in 1799, to stay with Henry Thornton. They were accompanied by 25 African children, whom he installed at 8, Rectory Grove in what became The African Academy (see picture left). 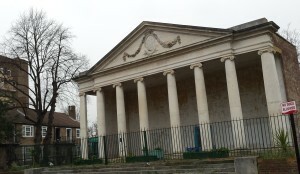 The Macaulays, the Thorntons, the Grants and other families, together with James Stephen, maritime lawyer and eventual Master of Chancery (and great grandfather of Virginia Woolf), Hannah More, (playwright, writer and reformer) and others worshipped at the recently erected Holy Trinity, Clapham Common. 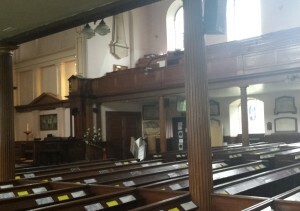 Built in 1776, in the Georgian colonial style, the large, galleried church retains some original features, although much has been replaced and a new Chancel and organ added. The plaque on the south wall of the outside of the church commemorating the Clapham Sect is scarred by the bomb blast which almost destroyed the church during the World War II. Holy Trinity, with the Reverend Henry Venn and his son, the Reverend John Venn, was the centre of a sustained and passionate commitment to social and religious reform by the Clapham Sect, which eventually lead to the Abolition of the Slave Trade Act in 1807 and the final Abolition of Slavery Act in 1833, three days before William Wilberforce died. It also produced the Church Mission Society and the British & Foreign Bible Society, support for legislation to protect factory children and the establishment of schools for the poor and leading opposition to cruel sports and the mistreatment of animals. The names of the reformers are familiar to Clapham residents and to passing motorists, today, in the many street names around Clapham Common. In a different context, Holy Trinity’s current web-site obliquely references the famous beginning of E.M.Forster’s 1910 novel ‘Howards End’ – ‘Only connect….’. E.M. Forster was Henry Thornton’s great grand-son and was baptised at Holy Trinity. The lives of the more famous members of the Clapham Sect are richly chronicled, but this blogger’s main source was Clapham, Saints & Sinners, by Eric E.F.Smith, The Clapham Press, 1987. I was also fortunate to receive a tour of Holy Trinity by its current Rector, Canon David Isherwood, who, most kindly, allowed the photography, more of which can be found on Pinterest. This entry was posted in History, London and tagged History, Worth a visit by juliej. Bookmark the permalink.